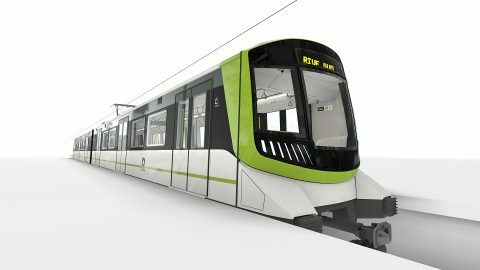 Alstom has unveiled the design of a Metropolis train developed for the Réseau express métropolitain (REM) automatic light-metro service in Greater Montreal. The combination of white, green and black colours allows a train to fuse with the green areas of Montreal. 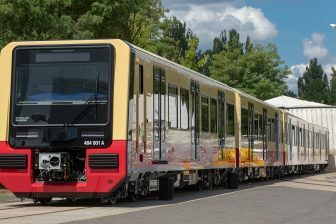 The new train will be entered into service in 2021 when the REM system will be launched. The external livery was inspired by the new Samuel De Champlain Bridge. The French technology supplier focused on a passenger in the design process. Therefore, the train has wide panoramic windows, spacious inside areas for the unhampered moving of people. The unit also provides acoustic comfort, vibration mitigation and passenger information in real time. 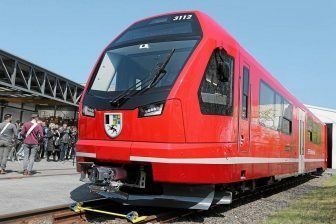 Alstom will supply 106 two-car trainsets to Montreal. 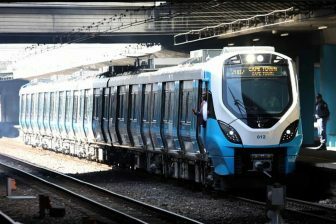 The vehicle belongs to the Metropolis train family that serves the rapid transit and metro system in 22 cities all over the world. Alstom participates in the REM project as a leader of a consortium Groupe PMM. The alliance was composed together with Canadian engineering company SNC-Lavalin. Groupe PMM was awarded a contract for construction of the REM system and supplying the rolling stock for its service. The preparatory works started in March 2018 while the construction began in April 2018. The REM system will have a network of 67 kilometres and 26 stations. It will include one line with three branches. One of them will connect the city centre with Montréal–Trudeau airport. The project costs 6.3 billion Canadian Dollars (4.2 billion Euros).